The U.S. Navy held a keel laying and authentication ceremony for its tenth Expeditionary Fast Transport (EPF) vessel, USNS Burlington (EPF-10), September 26. The keel was said to be «truly and fairly laid» as it was authenticated by William Pfister, Vice President Emeritus of Austal USA, signing his initials into the keel plate. As the keel is the symbolic backbone of a ship, the keel laying ceremony is a major milestone in the construction process. «EPFs are incredibly versatile and an asset to the Navy’s fleet», said Captain Scot Searles, Strategic and Theater Sealift program manager, Program Executive Office (PEO), Ships. «With the production consistency that has been demonstrated in the program over the years, I look forward to seeing EPF 10 continue to progress towards delivery». EPFs support a variety of missions including the overseas contingency operations, conducting humanitarian assistance and disaster relief, supporting special operations forces, and supporting emerging joint sea-basing concepts. EPFs are capable of transporting 600 short tons 1,200 NM/1,381 miles/2,222 km at an average speed of 35 knots/40 mph/65 km/h. Each vessel includes a flight deck to support day and night aircraft launch and recovery operations. Burlington will have airline-style seating for 312 embarked forces with fixed berthing for 104. 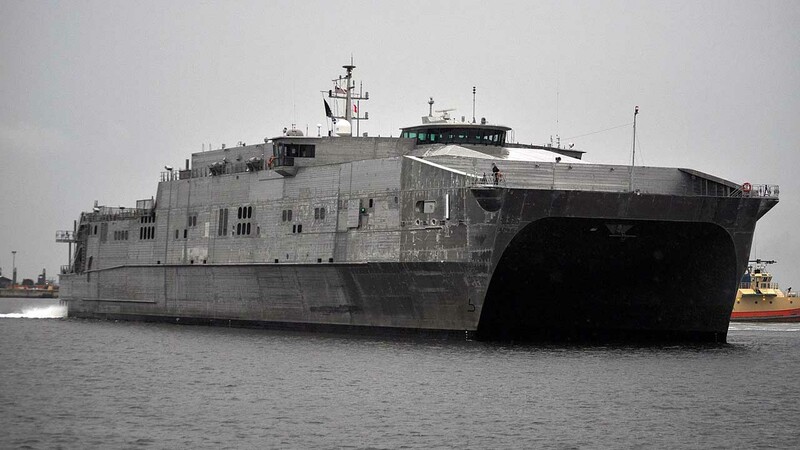 The EPF program delivered its eighth ship, USNS Yuma, earlier this year and USNS City of Bismarck (EPF-9) is preparing for its second set of sea trials before delivery later this year. USNS Puerto Rico (EPF-11) started construction earlier this year and EPF-12 started construction earlier this week. With a zealous crowd and great fanfare, the guided missile destroyer HMAS Hobart (DDG-39) was commissioned in to the Royal Australian Navy fleet in a formal ceremony at Garden Island in Sydney on 23 September 2017. The Prime Minister of Australia, the Honourable Malcolm Turnbull joined with other dignitaries, ship’s company and family and friends to welcome the newest ship to the Australian Fleet. Mr. Turnbull said Australia plays a leading role in ensuring the world remains at peace. «In these uncertain times, a strong, well equipped Australian Defence Force is absolutely critical», he said. 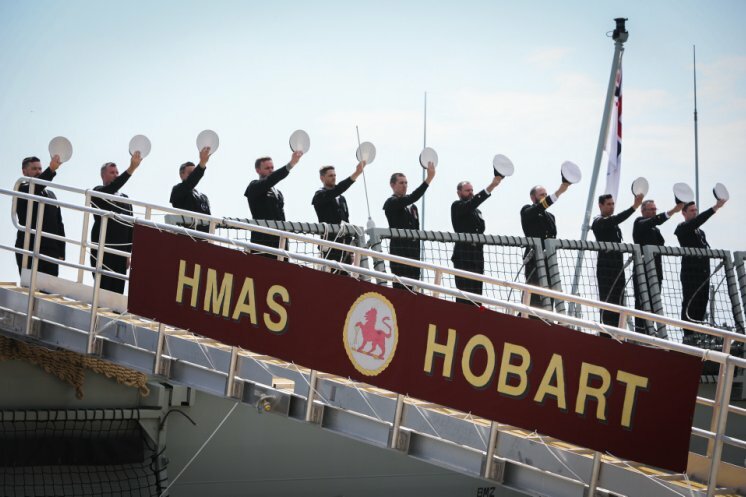 «The commissioning of HMAS Hobart provides clear evidence of our determination to keep Australians safe and ensure we are ready and able to meet the challenges that come our way in the years ahead. Wherever she may travel around the world, Hobart will serve our nation and take action in Australia’s name». 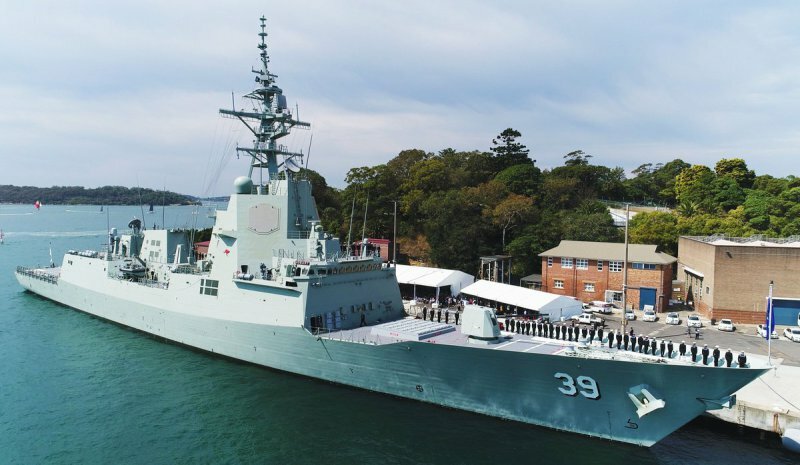 Hobart’s state-of-the-art Aegis combat system, including the phased array radar and missile systems, will provide an advanced air defence system capable of engaging enemy aircraft and missiles at ranges in excess of 150 kilometres/93 miles/81 NM. «She is as powerful as she is potent and is every bit a destroyer», he said. «Her sensors and weapons are leading edge and she is capable of conducting the full span of maritime security operations. However, without the 185 men and women who serve in her, she is just another ship alongside. To be a warship requires a specialist team who are masters in their individual skills and are capable of working collectively to achieve the mission. I am blessed with such a crew, who are both proficient and professional». Witnessing the historic occasion were sailors from the former Hobarts which served with distinction in the Second World and Vietnam Wars. 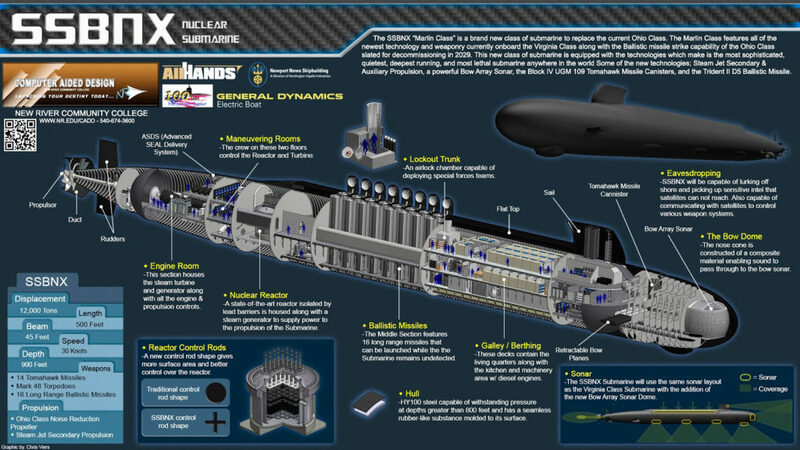 The U.S. Navy has awarded General Dynamics Electric Boat a $5.1 billion Integrated Product and Process Development (IPPD) contract to complete the design of the lead Columbia-class submarine – USS Columbia (SSBN-826), the nation’s next-generation sea-based strategic deterrent. Electric Boat is a wholly owned subsidiary of General Dynamics (GD). «Working closely with the U.S. Navy and the submarine industrial base, Electric Boat will continue to lead critical aspects of the Columbia-class development effort, including design, material procurement, construction and operating-cost reduction, to achieve an affordable and effective program», said Electric Boat President Jeffrey S. Geiger. The IPPD contract includes funding for component and technology development as well as continued development of the Common Missile Compartment, which will be integrated into both the U.S. Navy’s new SSBN and the Royal Navy’s Dreadnought-class strategic missile submarine. Construction of the lead Columbia-class submarine is scheduled to begin in the fall of 2020. The U.S. Navy plans to build a fleet of 12 new SSBNs. The contract announced today follows a five-year, $1.85 billion award Electric Boat received in December 2012 to perform research and development work for the U.S. Navy’s new class of ballistic-missile submarines. General Dynamics Electric Boat has established standards of excellence in the design, construction and lifecycle support of U.S. Navy submarines. In its position as an industry leader, Electric Boat remains committed to applying its technical strengths and business expertise to effectively manage the challenges of nuclear-submarine production. The company’s three primary locations are in Groton and New London, Connecticut; and Quonset Point, Rhode Island. Its current workforce is approximately 15,800 employees. A United Launch Alliance (ULA) Atlas V rocket carrying a payload for the National Reconnaissance Office (NRO) lifted off from Space Launch Complex-3 on September 23, at 10:49:47 p.m. PDT. Designated NROL-42, the mission is in support of national security. «Congratulations to the entire team for overcoming multiple challenges throughout this launch campaign. From Hurricane Irma schedule impacts to replacing to a first stage battery this week – the team maintained a clear focus on mission success», said Laura Maginnis, ULA vice president of Government Satellite Launch. «NROL-42 marks the 25th ULA-launched NRO mission, building upon our legacy of partnership with the NRO in providing reliable access to space for our nation’s most critical missions». 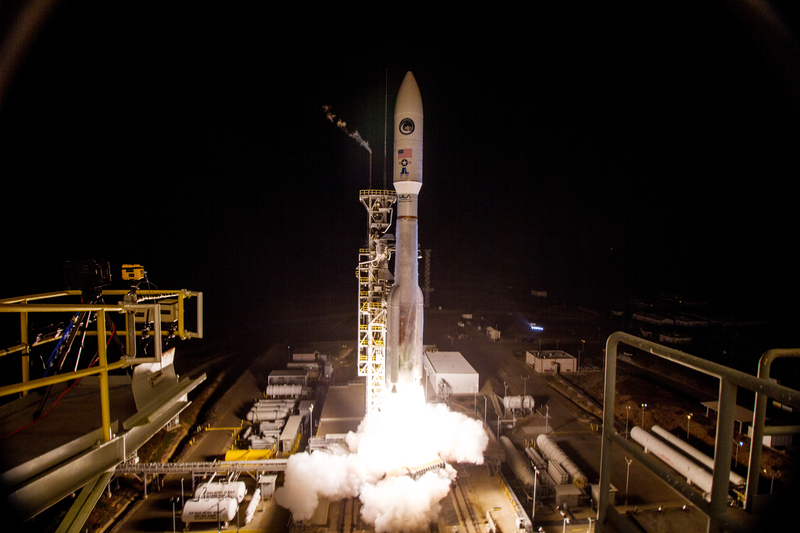 This mission was launched aboard an Atlas V Evolved Expendable Launch Vehicle (EELV) 541 configuration vehicle, which includes a 5-meter/16-feet PayLoad Fairing (PLF) and four solid rocket boosters. The Atlas booster for this mission was powered by the RD AMROSS RD-180 engine, and the Centaur upper stage was powered by the Aerojet Rocketdyne RL10C engine. 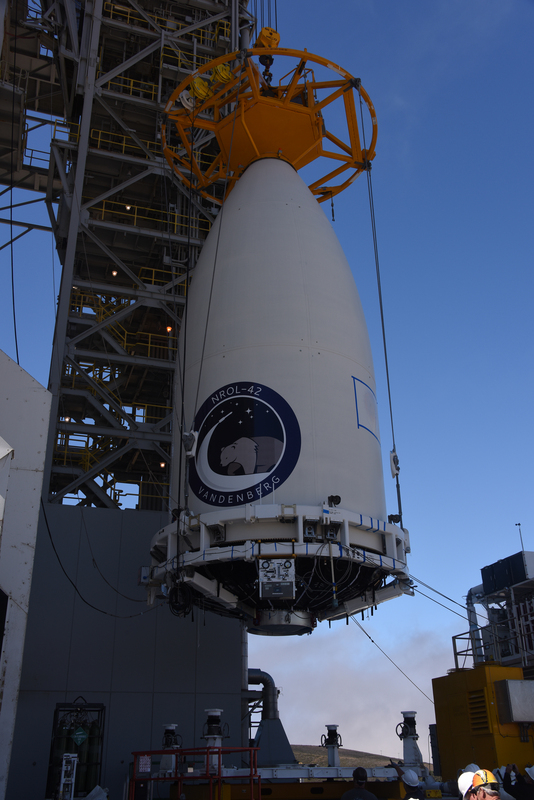 ULA’s next launch is the NROL-52 for the National Reconnaissance Office. The launch is scheduled for October 5 from Space Launch Complex-41 at Cape Canaveral Air Force Station, Florida. The Navy accepted delivery of the future USS Colorado (SSN-788), the 15th submarine of the Virginia-class, September 21. The submarine’s sponsor is Annie Mabus, daughter of the 75th Secretary of the Navy Ray Mabus. The ship began construction in 2012 and is scheduled to commission in spring 2018. This next-generation attack submarine provides the Navy with the capabilities required to maintain the nation’s undersea superiority. «Colorado’s delivery brings another Block III Virginia-class submarine to the fleet within budget. The submarine’s outstanding quality continues the Program’s tradition of delivering combat ready submarines to the fleet», said Captain Mike Stevens, Virginia-class submarine program manager. «The Colorado is the most capable Virginia-class submarine bringing advanced capabilities and technology to the Navy fleet». USS Colorado (SSN-788) is the fifth Virginia-class Block III submarine. Block III submarines feature a redesigned bow with enhanced payload capabilities, replacing 12 individual vertical launch tubes with two large-diameter Virginia Payload Tubes (VPT), each capable of launching six Tomahawk cruise missiles. This, among other design changes, reduced the submarines’ acquisition cost while maintaining their outstanding warfighting capabilities. The submarine will be the fourth U.S. Navy ship to be commissioned with the name Colorado. The first Colorado was a three-masted steam screw frigate that participated in the Union Navy’s Gulf Blockading Squadron that fought in the Second Battle of Fort Fisher with then-Lt. George Dewey serving as her executive officer. In the early years of the 20th Century, the second Colorado (ACR-7) was a Pennsylvania-class armored cruiser that escorted convoys of men and supplies to England during World War I. The third ship of her name, the lead ship of the Colorado class of battleships (BB-45), supported operations in the Pacific theater throughout World War II, surviving two kamikaze attacks and earning seven battle stars. 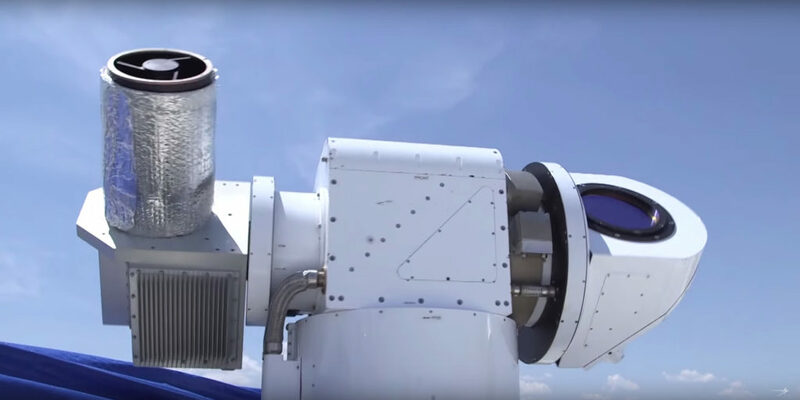 A Lockheed Martin prototype laser weapon system proved that an advanced system of sensors, software and specialized optics can deliver decisive lethality against Unmanned Aerial Vehicle (UAV) threats. In tests conducted with the U.S. Army’s Space and Missile Defense Command in August, the 30-kilowatt class ATHENA (Advanced Test High Energy Asset) system brought down five 10.8′ wingspan Outlaw unmanned aerial systems at the Army’s White Sands Missile Range in New Mexico. ATHENA employed advanced beam control technology and an efficient fiber laser in this latest series of tests of the prototype system. «The tests at White Sands against aerial targets validated our lethality models and replicated the results we’ve seen against static targets at our own test range», said Keoki Jackson, Lockheed Martin’s Chief Technology Officer. «As we mature the technology behind laser weapon systems, we’re making the entire system more effective and moving closer to a laser weapon that will provide greater protection to our warfighters by taking on more sophisticated threats from a longer range». The system defeated airborne targets in flight by causing loss of control and structural failure. Lockheed Martin and the Army will conduct post mission reviews, and data collected will be used to further refine the system, improve model predictions and inform development of future laser systems. ATHENA is a transportable, ground-based system that serves as a low-cost test bed for demonstrating technologies required for military use of laser weapon systems. Lockheed Martin funded ATHENA’s development with research and development investments. It uses the company’s 30-kilowatt Accelerated Laser Demonstration Initiative (ALADIN) that provides great efficiency and lethality in a design that scales to higher power levels. ATHENA is powered by a compact Rolls-Royce turbo generator. Lockheed Martin is positioning laser weapon systems for success on the battlefield because of their speed, flexibility, precision and low cost per engagement. Huntington Ingalls Industries’ (HII) Ingalls Shipbuilding division delivered the amphibious transport dock USS Portland (LPD-27) to the U.S. Navy on September 18. «Today is a great day for this collective industry and customer team», said Kari Wilkinson, Ingalls’ vice president, program management. «For many of the shipbuilders, Supervisor of Shipbuilding representatives and members of the U.S. Navy program office, this is the 11th ship they have built and delivered together. Their personal commitment to excellence has become the hallmark of the LPD program, and we are positioned to continue that tradition on future ships». 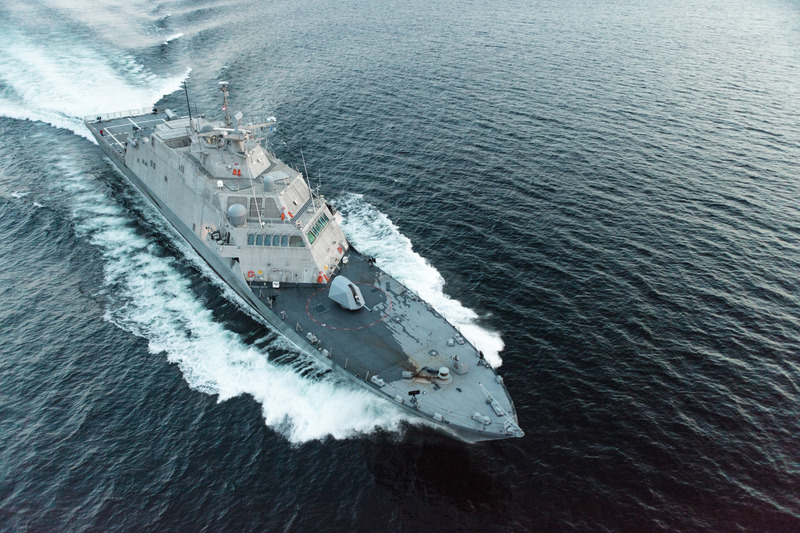 USS Portland (LPD-27) was delivered during an afternoon ceremony with shipbuilders, ship’s force and representatives of Supervisor of Shipbuilding Gulf Coast together in attendance. The signing of the DD 250 document officially transfers custody of the ship from HII to the U.S. Navy. «I am amazed with the shipbuilders here at Ingalls», said Captain J.R. Hill, Portland’s prospective commanding officer. «There are thousands of them who have been working to build this ship and put it into service, and they’ve really done a great job. I’m very impressed with the team Ingalls has put together as well as the 370 crew members present today who are ecstatic about taking control of this ship. We look forward to what she can do in the future». USS Portland (LPD-27) is named for the largest city in the state of Oregon. The state has a long history with the U.S. Navy, going back to the construction of hundreds of World War II Liberty and Victory ships at three Portland-area shipyards. Ingalls has delivered 11 San Antonio-class ships to the U.S. Navy and currently has one more, USS Fort Lauderdale (LPD-28), under construction. 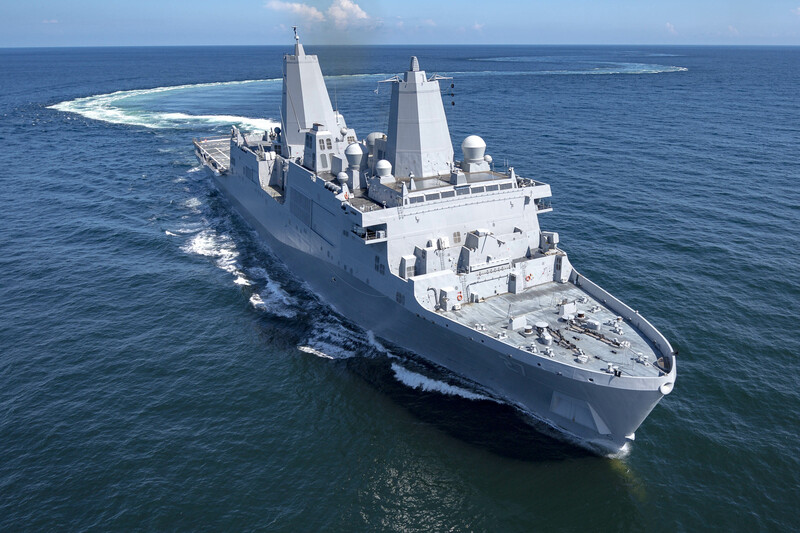 In June, Ingalls received an advance procurement contract from the Navy to provide long-lead-time material and advance construction activities for LPD-29, the 13th ship of the San Antonio class. The San Antonio class is the latest addition to the U.S. Navy’s 21st century amphibious assault force. The 684-foot-long, 105-foot-wide ships are used to embark and land Marines, their equipment and supplies ashore via air cushion or conventional landing craft and amphibious assault vehicles, augmented by helicopters or vertical takeoff and landing aircraft such as the MV-22 Osprey. The ships support a Marine Air Ground Task Force across the spectrum of operations, conducting amphibious and expeditionary missions of sea control and power projection to humanitarian assistance and disaster relief missions throughout the first half of the 21st century. 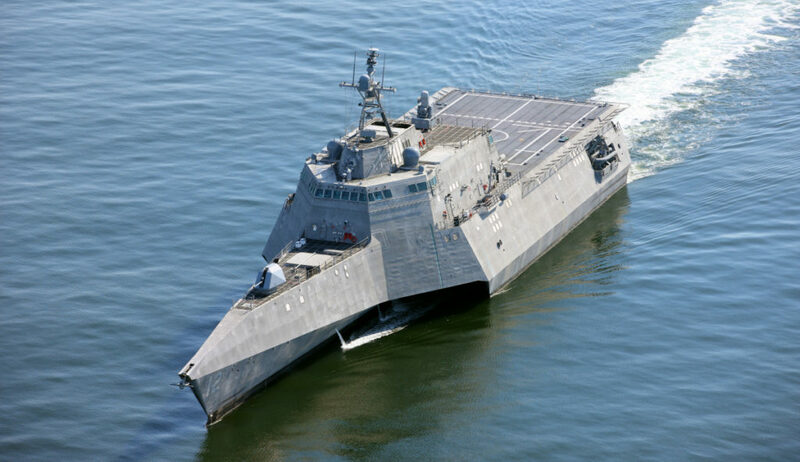 The U.S. Navy accepted delivery of the future Littoral Combat Ship (LCS) USS Omaha (LCS-12) during a ceremony in Mobile, Alabama, September 15. This delivery marks the official transfer of USS Omaha (LCS-12) from the shipbuilder, an Austal USA-led team, to the U.S. Navy. It is the final milestone prior to commissioning, which is planned for early 2018 in San Diego. 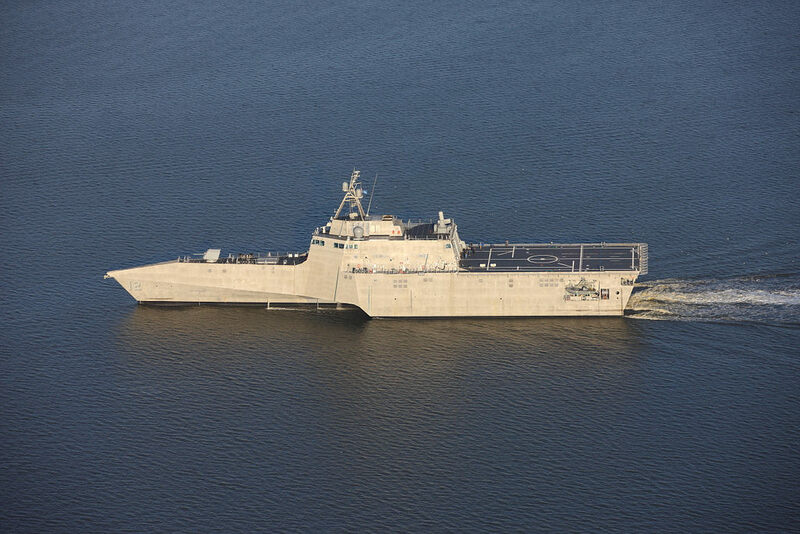 «Today marks a significant milestone in the life of the future USS Omaha (LCS-12), as transfer to the Navy occurs, and her in-service counter begins», said LCS Program Manager Captain Mike Taylor. «I look forward to celebrating the commissioning of this fine ship after she departs from Austal and embarks upon her post-delivery test and trials period». «We are excited to welcome the future USS Omaha (LCS-12) into the LCS class», said Captain Jordy Harrison, commander, LCS Squadron 1 (COMLCSRON 1). «LCS are in high demand around the globe, and after additional ship testing and crew training, Omaha will join the fleet, serving combatant commanders in a wide range of worldwide missions». COMLCSRON 1 supports the operational commanders with warships ready for tasking by manning, training, equipping and maintaining littoral combat ships on the west coast. Following commissioning, Omaha will be homeported in San Diego with her fellow ships USS Freedom (LCS-1), USS Independence (LCS-2), USS Fort Worth (LCS-3), USS Coronado (LCS-4), USS Jackson (LCS-6), USS Montgomery (LCS-8) and USS Gabrielle Giffords (LCS-10). The 1st Space Operations Squadron (1 SOPS) at Schriever Air Force Base (AFB), Colorado, accepted two new satellites into operation September 12 to expand their Geosynchronous Space Situational Awareness Program’s (GSSAP) ability to characterize and track objects in space to support a neighborhood watch out in orbit. GSSAP provides enhanced space-based space situational awareness to improve the ability to rapidly detect, warn, characterize and attribute disturbances to space systems in the geosynchronous environment. This assists in the protection of the assets in space that affect many facets of daily life such as navigation and communication. GSSAP supports U.S. Strategic Command’s ability to collect data on man-made orbiting objects. GSSAP became operational in September 2015, when the first two GSSAP satellites reached their Initial Operational Capability. The two newest satellites to the program, GSSAP 3 and 4, were launched into orbit August 19, 2016, and have now finished their testing phase. «GSSAP 3 and 4 will significantly enhance our ability to characterize objects on geosynchronous orbit», said General Jay Raymond, commander of Air Force Space Command. «This provides the awareness we need to successfully operate in space». This addition to GSSAP is vital to expand 1 SOPS’s space-based space situational awareness mission. It not only provides a significant improvement in space object characterization, but also in detecting threats. Because of its near-geosynchronous orbit, it has a clear and distinct vantage point to avoid the weather interruptions that can limit ground-based space surveillance systems. 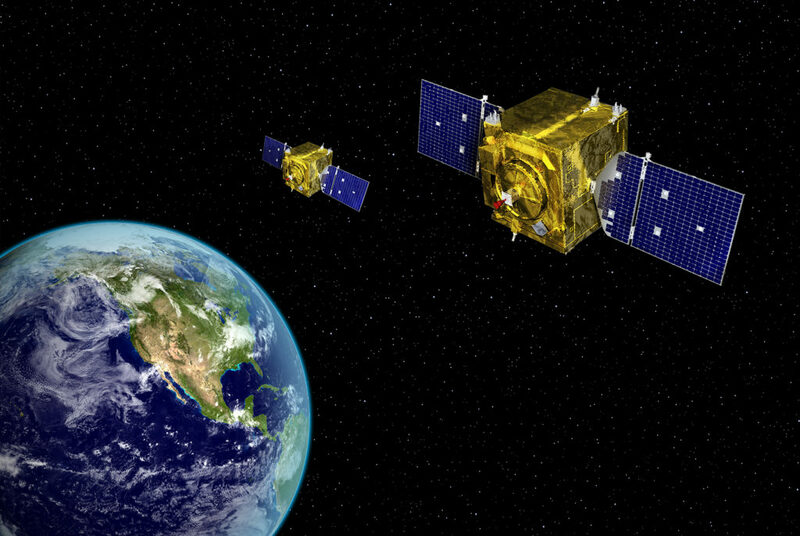 The GSSAP satellite system can characterize objects in space to a very refined level. Being able to discriminate and characterize objects assists the U.S. and its allies in achieving responsible and safe use of space. The information obtained by this program provides robust spaceflight safety information and ensures free access to, and use of, space. As space continues to become more congested and contested, GSSAP and other space situational awareness programs are paramount in deterring aggressive action in space. GSSAP continues to enable safe operations and protects U.S. and allied spacecraft by providing timely and accurate situational awareness. Ultimately, GSSAP and 1 SOPS enable a range of decisive responses that will render any counter-space threats ineffective.